It’s well known that probiotics are good for the body – these live microorganisms found in yogurt and other fermented foods boost the ‘friendly bacteria’ in your gut. In modern day, stress, work, travelling, taking antibiotics all take a toll on the body’s bacteria balance, so probiotics are a must keep the body healthy and reduce inflammation. Adding probiotics to your diet isn’t as hard as you may think – yogurt, kefir, pickles, sauerkraut and even kimchi can be a good supply of live cultures. 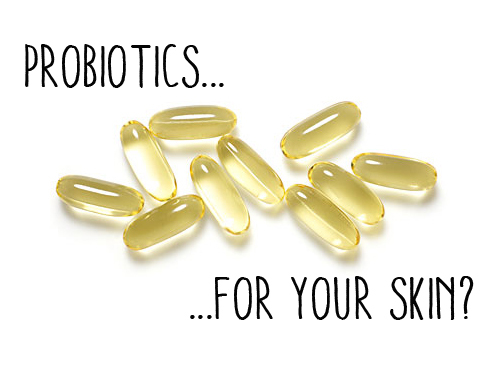 But did you know probiotics could also benefit the skin? “Probiotics may be the next big thing in skin care treatments….Probiotics in topical products can also act as a protective shield for your skin’s surface, keeping your skin healthy and putting a halt to future breakouts, the early research shows…. Probiotics has been a staple in the Korean diet with Kimchi, dwenjang soup and the cult drink Yakult. It’s no surprise that Korea also offers probiotic skincare – our favorite is Leejiham’s Probiotic Sleeping Cream, which was recently featured in Styleblazer. Let us know if you have any questions, comments or feedback at love@glowrecipe.com. We love to hear from you! Probiotics are known to treat eczema. All you have to do is take probiotic supplements that has Lactobacillus fermentum VRI-003 PCC and Lactobacillus rhamnosus HN00. They can actually help in treating itchy and scaly skin rashes.